Copyright serves to ensure that a text is not altered without permission. A writer may have wrestled for many hours over a single word or musical phrase or harmony. Copyright ensures that an author or composer is rewarded for his work. While some authors and composers do not wish to be paid for material for church use, others depend on their writing or composing as part of their means of earning a living. A third group believe that payment should be made for something of worth, as a token of support for those whose basic livelihood comes in this area, or because they would like their God-given skill to finance charitable work of their own choice, sometimes itself in the field of hymnody. Copyright also provides a way for a publisher to recoup the costs of making a wide range of material available and especially permits payment for ‘successful’ pieces to provide seed-corn to fund the publication of the next generation of writers. Little noticed by most people, a new Copyright Act was passed in 1988 and is expected to come into operation soon. It restates the law of copyright with amendments. Six chapters are especially relevant to hymnody; this article draws attention to some of their provisions as they affect creative writers, publishers, editors and users. Chapter 1 describes the nature of copyright and to whom it belongs; Chapter 2 explains what may not be done without permission of the copyright owner; Chapter 3 notes some exceptions to Chapter 2; Chapter 4 introduces the idea of an author’s moral rights; Chapter 6 considers copyright infringements; Chapter 7 looks at the concept of wide ranging licensing schemes. Copyright is a property right. It concerns both music and words. It exists in ‘an original musical work’, defined as a work consisting of music, exclusive of any words or action intended to be sung, spoken or performed with the music. The test is whether the composer or arranger has produced something original like a new melody or new harmonies. It also exists in an ‘original literary work’, the definition of which includes words written, spoken or sung, and clearly covers the text of hymns. Alongside these two rights, and in addition to them, are rights in an original graphic work, irrespective of artistic quality, and including any drawing, engraving or similar work. This seems to cover a musical score. There is also a right in the typographical arrangement of a published edition. These four property rights can be owned by different people. Hymnbook A (publisher Mr Thames) contains a hymn with words B (written by Mr Severn and assigned to or administered by Medway & Company) and music C (composed by Miss Avon who administers her own copyright): the music engraving is undertaken by an employee of Messrs Ouse and Tyne: but in practice, it is to be expected that Messrs Ouse and Tyne have not allowed their employee to gain the copyright in the engraving, but have assigned it to the publisher Mr Thames, and so they can usually be ignored. The rights in the typography are also vested in Mr Thames; if we want to reproduce the engraving or typography, say by photocopying the material, we need his permission. But his permission alone is insufficient; we need also the permission of Medway & Co in regard to the words and of Miss Avon in regard to the music. If we are going to copy the words in a way that makes no use of the original typography, we need only the permission of Medway & Co. If we intend to copy the music without using the engraved score, we need only the permission of Miss Avon. Usually, the copyright in a typographic arrangement lasts until 31st December after the 25th anniversary of first publication; other copyrights last until 31st December after the 50th anniversary of the death of the creator of the copyright. Remember that this can apply to the death of the creator of the harmonies as well as of the melody. Unless permission is given by the copyright owner, by an exception laid down by the Act, or under a licensing scheme, permission is needed amongst other things to copy the work in any material form. This would include making a sound recording (this includes the sound track of a film or video) as well as making a readable copy. Permission is needed for a performance in public (usually obtained by the premises being licensed by the Performing Right Society), or to adapt the work, say by altering the text or arranging the music. The need to observe copyright goes beyond the person making the offending copy. It is an infringement to possess, sell, hire or distribute an infringing copy in the course of business. It is also an infringement to distribute an offending copy otherwise than in the course of business to such an extent as to affect prejudicially the owner of the copyright. If a copy made for one purpose permitted under the Act is then used for another purpose, it becomes an infringing copy. Most of these relate to narrowly defined acts by researchers, librarians and archivists, and in connection with education and examinations. A person giving or receiving instruction may make a copy provided that a reprographic process, like photocopying, is not used. A reprographic process may be used in connection with an examination but this permission does not extend to the making of a reprographic copy of a musical work for use by an examination candidate in performing the work. In some circumstances, a performance in school before an audience of teachers and pupils and other persons connected with the activities of the establishment is permitted; but if parents come, the performance becomes a public one. The reading or recitation in public of a reasonable extract of a literary work is a permitted act. While the Act does not specifically provide for musicians to make a single photocopy of an odd page to avoid a difficult turnover, almost all publishers permit this provided that the original copy has been purchased by the person making the copy. (i) the right to be named as writer. In the case of a literary work, like the words of a hymn, the right applies if the work is published commercially, performed in public, or broadcast in a cable television service. For music, the criteria are commercial publication or issue to the public of a sound recording including a film with a sound-track. (ii) the right to object to derogatory treatment. ‘Treatment’ of a work means any addition to, deletion from, alteration to or adaptation of a work other than a translation of a literary work or an arrangement or transcription of a musical work involving no more than a change of key or register. The treatment of a work is ‘derogatory’ if it amounts to distortion or mutilation of the work or is otherwise prejudicial to the honour or reputation of the author. Commercial publication, performance in public, broadcasting or inclusion in a cable programme service qualify a ‘derogatory act’ to be protected. (iii) the right not to have work attributed which is not an author’s own. To be gained these moral rights have to be asserted by the author in ways laid down in the Act. The remedy open to a copyright owner or, in the case of moral rights, the author/composer, is to be pursued in the civil courts. Certain infringements are laid down as criminal offences with penalties of fines and imprisonment. The acts mentioned in the second paragraph of the notes for chapter 2 are included in the list of criminal offences. Organizations can be set up that, usually on payment of a fee and the making of such returns as the organization may require, grant a licensee permission to use copyright material. Users feeling they are not obtaining a fair deal under a licensing scheme have a right to apply to a tribunal. Most musical performances will continue to come under the aegis of the Performing Right Society who license premises for public performances. Most music publishers and composers are presently members of the Performing Right Society; membership is less common in the case of lyricists. Membership involves assigning the performing right, as defined by the Society’s articles, to it. Most sound recording (including the sound-track of video tapes) is licensed by the Mechanical Copyright Protection Society which represents many music publishers and is open to authors and composers. This second Society is a licensing agency acting on behalf of its members. Wide licensing schemes covering the copying of words and musical scores are not at present generally available. Some book publishers and authors operate a scheme that allows photocopying of extracts from books for use only in schools, but it does not extend to music. The Act allows the Secretary of State to require publishers and authors to widen the scope of licensing for schools, and it could well be that words of hymns might come under such a scheme in the not too distant future. But any such licensing scheme that permits something to be done for use in school restricts its use to that situation. A copy made under a licence in one situation cannot be taken into another, say from school to regular church worship. The Christian Music Association licenses the copying of words and music by subscribing churches on behalf of a group of publishers several of whose catalogues are strong on gospel music. Their publicity material names the publishers covered. 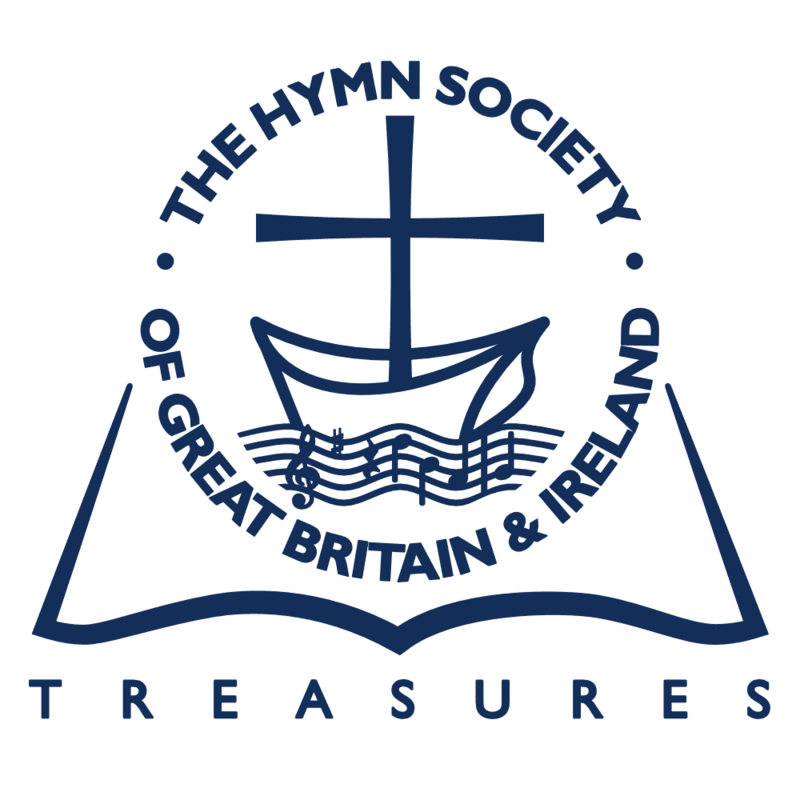 The Pratt Green Trust publishes a leaflet about ‘Hymnody and Copyright’ and also a list of names and addresses of about 150 copyright owners and administrators. Some individual publishers issue annual licences covering the works of which they administer the copyright. Let us return to the example used in Chapter 1 and suppose that a licence shows that Mr Thames’s works may be copied. This helps only if Medway & Co. and Miss Avon are participants in the licensing scheme too. Again if Medway & Co. and Miss Avon are members and Mr Thames is not, then although the work can be copied, the consent is needed of Mr Thames too for photocopying, although we do not need his permission if we wish to type the words or write out the music and then make copies of our typing and writing. There seem to me to be serious difficulties in providing a licensing scheme covering all church music. Its scope, the diversity of publishers and the extent of its use outside liturgical situations would be wide. It is only in the narrower fields of gospel music and hymn tunes that schemes seem practical at fees acceptable to churches and providing sufficient seed-corn income to be ploughed back into new publishing. Even at this level, the number of publishers and writers involved is considerable. Many have only limited interest in church music, but believe that widespread copying of music is against their own interests and also against the long-term interests of consumers by making future publishing uneconomic. On the other hand, as preacher, writer, retired publisher and secretary of the Church Council, I believe it should be possible to work out a scheme acceptable to the majority of publishers of words (and perhaps melody lines) of hymns and congregational songs. I believe such a scheme should be administered by a Trust, representing interests of users, writers and publishers, free of specific association with any particular denomination, theological position or publishing philosophy. To keep costs of administration down, it should be possible for users so wishing to band together in groups (like local Councils of Churches) to buy a licence, although individual churches could buy them. Individual preachers might also purchase licences that applied to situations where they were leading rather than being tied to a particular place. In today’s terms, a minimum annual fee of £25 for a licence (covering churches or a group of churches with a membership of not more than 500) would probably be necessary. Income distribution would be ascertained on the basis of a continually rotating sample. I believe that the introduction of such a scheme would help the introduction of new hymnody considerably, would enable worship to be enriched without churches or individuals breaking the law, and ensure a monetary reward to those who earn their living from writing, and provide seed-corn to encourage publishers to persevere in this field. I believe my co-trustees of the Pratt Green Trust would be willing to provide funds to sponsor a day consultation between users, writers and publishers if an approach were made to them by a sufficiently diverse group. Such a licensing scheme would operate under the jurisdiction of the Copyright Tribunal being set up under the new Act. Editors, beware! Where author and composers choose to exercise moral rights—and I would encourage them to do so—they as well as the copyright owner will need to approve alterations. Almost anything an editor does might be regarded as derogatory if it serves to change the theological position expressed or lessens the sense of poetry! Local churches still need the consent of copyright owners to alter texts: although the moral rights might not be enforceable according to the letter of the law, there remains a moral obligation to be aware of moral rights before making changes to texts. Prejudicial to a copyright owner’s interests? A raindrop on its own will not cause a flood; a deluge of raindrops might! So it is with photocopying in a local church—the little here plus the little there in hundreds of churches soon present a substantial problem for a publisher needing to recoup costs. This article is written by a semi-retired publisher and user and does not give a lawyer’s interpretation of legislation. Both Bernard Braley, as author, and The Hymn Society of Great Britain and Ireland, controller of the typography, freely authorize the making of further copies of this article.